The Christmas Shoebox Appeal Is A Manipulative Indoctrination Campaign. Christmas is coming, which means it’s almost time to dig out that awful sweater, retrieve the decorative tat from the attic and pay tribute to everyone’s favourite magical zombie Jew-God. This has something to do with sprouts too, for reasons unknown. However, unlike Jesus, one thing guaranteed to return is the Christmas Shoebox charity appeal (AKA ‘Operation Christmas Child’). This appeal usually makes itself known via your offspring’s school, your place of employment or various other local establishments such as pubs or supermarkets. ‘Operation Christmas Child’ is a seemingly commendable endeavour whereby the general public are asked to fill up empty shoe boxes with unwanted toys, which the charity then transports to children in less privileged regions. For anyone in possession of a pulse – this will understandably feel like a worthy cause. 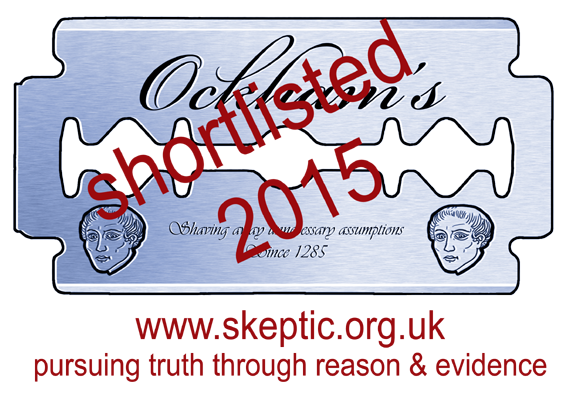 But are you aware of the charity’s robust ideological goals and troubling behaviour? 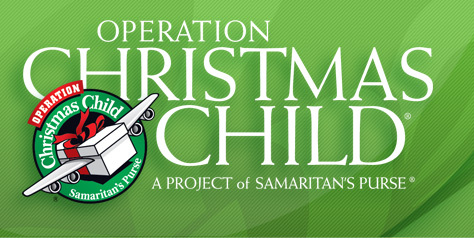 Did you know of Operation Christmas Childs' Christian Goals? The charity behind the ‘Operation Christmas Child’ shoebox appeal is The Samaritan’s Purse. They are an evangelical Christian organisation. Here is part of their mission statement2 from their website (emphasis mine): ‘Samaritan’s Purse is a non-profit, Christian organisation providing emergency relief and development assistance to suffering people around the world. Samaritan’s Purse is meeting the physical needs of victims of war, famine, natural disaster, poverty and disease with the aim of demonstrating God’s love and sharing the Good News of Jesus Christ’. Children are often sent home from School with ad-hoc letters to present to their parents which make no mention of the religious nature of this appeal. Similarly, employees are often invited by their colleagues via email to join in on the appeal. The handful I have personally seen make no mention of the religious nature of the charity. Your shoebox contributions are handed to children with an evangelical Christian pamphlet entitled: ‘The Most Important Story Ever Told’. You may view it in full here. These pamphlets encourage children to essentially sign themselves over to Jesus and accept troubling ideas such as sin: . Of course there are many religious charities and religious individuals that do fantastic work, and I would not wish to denigrate them for it. However, I do think it’s incredibly important to differentiate from self-serving evangelism and a genuine desire to do good for its own sake. Personally, I’m a staunch advocate of secular charities, as I strongly believe charity should not be used as a pretext for indoctrination or furthering harmful ideologies. This is why I always try to confirm whether or not an organisation is secular before I contribute to or endorse it. You can find a list of excellent secular charities by clicking here. Also, for a non-religious alternatives to the shoebox appeal, click here. I launched a charitable fundraising initiative – Team Good For Good’s Sake – in 2013. Since then, it has raised over £23,000 for secular causes including Comic Relief and WaterAid. This was made possible because a group of like-minded people decided to do something good, for its own sake – without a desire to further an ideology or their own interests. Team #GFGS continues this tradition of supporting great secular charities in its current appeal for Médecins Sans Frontières (MSF) (Doctors Without Borders). The charities involved do not push an ideological narrative in return for their help. Read about Team #GFGS here and please consider supporting. Please let me know in the comments, or on Twitter whether you have been approached to take part in the Operation Christmas Child appeal, and whether or not you were made aware of their religious ethos. Is it fair to say similar tactics were used during the Irish Potatoe Famine? And we now look back at how discussing that was. Why is it this organisation feels if the edges are softer they can do the same thing? Jesus loves each you and asks for nothing other than your love and a relationship. He will fill your every need. Actually, he asks for you to accept him as your Lord and saviour. If you reject this offer, it’s just the small matter of burning in hell fire for eternity instead. It’s impossible for a dead person whom may never have existed to ask for love. Nice to see old blog still posts being read in Savannah. I think you are an unhappy miserable lot and i can only feel sympathy for you.The name Jesus must really upset you to go to all the trouble of setting up this vandeta against believers who are only showing kindness and compassion towards people who are in need.I met a Romanian man who told me he still has a toy car he received in a shoe box as a child and has always remembered that Christmas and the joy it brought. This conservation took place at a bus stop with no mention of any religion. I came back to this article today after yesterday seeing my kid come home from school with a Salvation Army clothes collection bag aimed at children and full of cartoony imagery. Now whilst the SA might do some good work I am at odds with their core (Christian) beliefs and values (with particular regards to homosexuality) and see something almost cult-like in their pseudo-military structure. I can’t help but think with this in mind that a non-denominational school should not be supporting such a concern and should focus its efforts on secular and humanist organisations. I also emailed the head teacher (with some trepidation I might add) for some clarification on their support for the SA and will be interested to see what they say back. Two weeks later and no response from the school.